A series of three stage photographs showing scenes of life in China in early 1940. 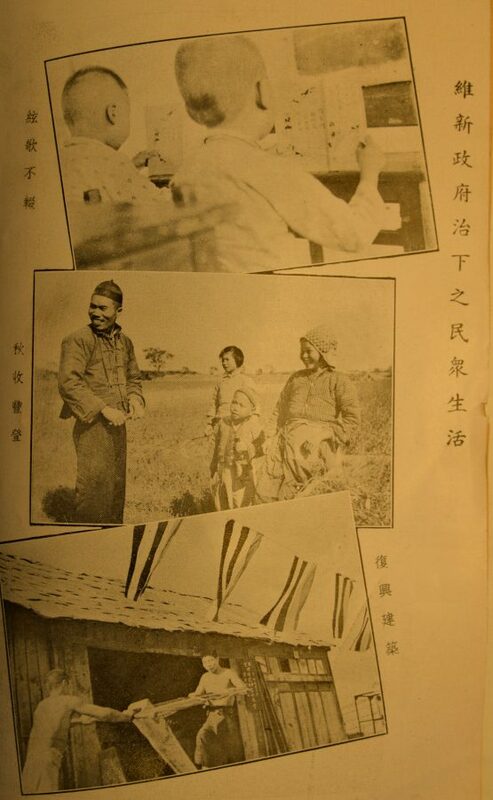 This series of unattributed photographs is taken from the Daminhui publication Xin Zhongguo (New China) 3.1 (January 1940). They are used here to present scenes of life under the rule of the Reformed Government (Weixin zhengfu), or RGROC, which was a “client regime” established in 1938. 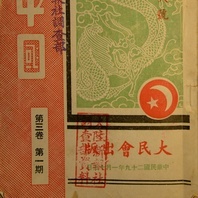 The RGROC was eventually amalgamated with Wang Jingwei’s RNG in March 1940. The top image is entitled “xian’ge bu chuo” (“studying never stops, even in times of strife”); the middle image is entitled “qiu shou fengdeng” (gathering the autumn harvest); the image at the bottom of the page is entitled “fuxing jianzhu” (renovating buildings). 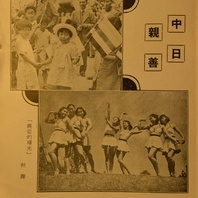 All three are typical images of the sort that the Daminhui promoted in the period between 1938 and 1940, but also display a clear influence from Manchukuo propaganda photography from earlier in the 1930s. Timothy Brook, “The creation of the Reformed Government in central China, 1938,” in David P. Barrett and Larry N. Shyu (eds) Chinese Collaboration with Japan, 1932-1945: The Limits of Accommodation (Stanford, CA: Stanford University Press, 2001), 79-101.